Square’s tiny credit card reader turns any Apple or Android gadget into a portable credit card terminal, making it easy to accept plastic wherever you are. There’s no shame in being a cash-only business. In some situations it can make perfect sense but there might come a day when your reluctance to accept plastic starts to hurt the bottom line. When you reach this point it’s vital you read the fine print and crunch the numbers before you sign up for merchant facilities with a credit card terminal. Signing up for merchant facilities is a big step for any business, often with lots of hidden fees. You can be slugged with joining fees, annual fees, monthly fees, transaction fees and other hidden costs. You might even be slugged with excess usage fees if you exceed your monthly transaction limit. These complicated arrangements might work to your advantage if credit card transactions are the lifeblood of your business but if you rarely put through a card transaction then you’re probably losing money on the deal. This is when it pays to look at alternatives like Square, which offers a simple pricing model designed to suit occasional users. Square’s $19 card reader is finally available in Australia and it is designed to plug into an Apple or Android smartphone or tablet. It reads Australia’s credit card security chips plus it caters to old mag­swipe transactions which are being phased out. When a customer pays by card, Square takes a 1.9% cut of the transaction and puts the rest in your bank account. That’s it, there are no other fees, so it doesn’t matter whether you use the Square Reader once an hour or once a year. It’s not costing you money while it’s sitting idle. Unfortunately we’re still waiting for Square’s contactless payments terminal, already available in the US, which lets you accept “tap-and-go” payments like MasterCard’s PayPass, Visa’s payWave and mobile transactions such as Apple Pay. 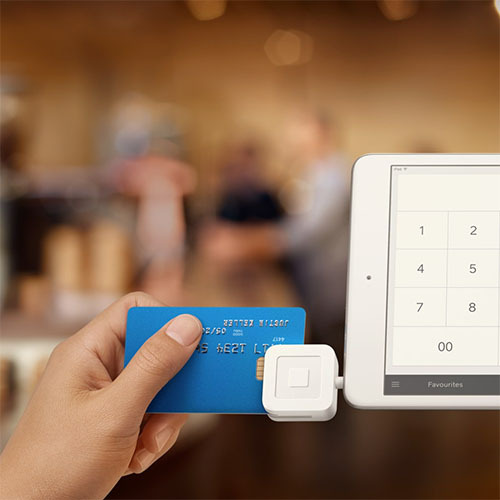 It pays to shop around, as these days Square has plenty of nimble competitors – some of which do accept “tap-and-go” payments. Even the big banks are getting in on the act with more affordable mobile card readers for customers who can’t justify a traditional EFTPOS terminal. Whichever way you go, never forget accepting cards means that it’s costing you to take people’s money. Customers who were prepared to pay cash might reach for plastic instead once they see you accept it, so think long and hard before you decide to offer them the choice.